Can you make a living as a dancer? Comments for Can you make a living as a dancer? The answer to your question depends on several things. I believe that the city you live in has a lot of influence in the possibilities of making a living out of dancing. Is contemporary dance socially appreciated there? Are there a good amount of dance companies? How much do normal citizens attend the contemporary dance performances? Does your government support contemporary dance with enough funding? Can you survive working as dancer? If you have ambitious expectations about your future life, want to have several kids, a house, a car and travel around the world from time to time, you will need to be a super star of a profit-making type of dance to get the money just by dancing. Also, remember that many dancers feel tired between their thirties and forties (no matter how passionate they always were about dance), so having an alternative job is important. Yet, it can be a related job (I wrote about that in the thread recommended above). As you live in the U.K., I believe you might indeed have the chance to make a living out of the different possibilities offered by dance. But you might need to build your own working environment and adjust your career to the circumstances. Making a living with dance may depend on how serious you are about dancing. In my opinion, if you have a passion for dancing, you will be able to outperform others to be a topper in the field. This is the case with all the careers. You can defetly make a great living out of dancing. One example is Tremaine dance conventions. It is one of many dance conventions to work at. It is a place were you can teach workshops in big rooms filled with over 100 people. And yes, it pays really well. Somewhere around $300,000. And everyone is so nice there. Tremaine is not by far the only place like this. Just one of many. So you can defenetly make a living out of dancing. i love dance. i recently stooped dancing because i had no support to persue it. but i cant imagine leaving it. so after my studies i want to continue it. and i live in india. it may take two years atleast from now to be without dancing. i am confused and depressed. i feel am useless without dancing. i tried learning from internet. but now i am finding difficult to even make a choice of which kind of dance i want and how can i confidently make it as my profession. will it earn me? will i be satisfied? i dont want to become a local class teacher. i want to explore more and be a performer. so what do i do.? I understand you are in a difficult situation. Each person’s life is different and I don’t know how your circumstances are, but if you don’t see a good future for you in your city, you may think of moving to Europe, Australia or North America. How can i improve as a dancer? I was confused about how i can become a great dance performer and how i can make a living from it,i need a kind of orientation about steps to take inorder to bring out something great as a dancer. To become an outstanding professional of dance, you need to study, practice and work constantly. The results will come in time. Don’t let dance kill you, but give your life to it. There’s more advice in my first reply at this chat and at the recommended link there. Take your time to read it. I am from India. I live in a city where no one is passionate about dance.i also run a dance studio but it is not in profit.i am a popping dancer and I want to be on top battles going on there but I don't know which country is great for dancing carrier. Want to know if anyone can help me. In general, the rich countries of the western northern hemisphere (European countries, U.S.A, Canada) or the Australian cities, are places where living from art is possible. But it is not possible to state that there’s one place that will be better for sure, because professional success is something that depends on many factors. I see for what you write, that you are a 'urban' dancer. 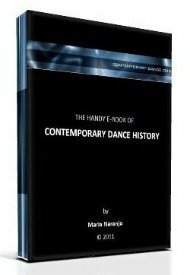 I recommend you to do some research about the place of origin of urban dance. That may give you some ideas about where in the world there may be more working opportunities for dancers like you. Am happy you love dancing,that is the first step to starting any thing. Start with dancing the way you love to dance ,make it unique proffessional,create your own dance moves that are outstanding,eye catching and can make someone to see them over and over again by practicing to be perfect. look for connections for singers and people who make music around you my dear,they will help you do a little singing or rap to back up your perfect dance moves you have created,do not be afraid to sing or rap about what you want, you can do it. Many people started very small,but now they can not believe where there love for what they love to do has taken them(made there dreams come true,even beyond there immagination). Start with what you have and every opportunity around you,even use internet ressources that can promote and provide sales marketing for your services or help you connect to billions of people using internet. How much money do dancers get paid for a performance and teaching, because that is something I want to do when I get older? How much do dancers or dance teachers earn? Those rates depend on the project, the company, the school, or even the country. Visit your local institutions (or local dancers) to gather that information.